Dawnlit, Black Flak And The Nightmare Fighters, and Glaciers in Pangaea. Tickets are $7 at the door. Show starts at 7pm. Dress up! It's Halloween, ya dingus! Late notice for this but we are playing Club X on Tuesday, October 24th. We are supporting The Last Ten Seconds of Life, Rue The Day, Always 2 Late, and Elysium. Dawnlit, The Acoustic Fools, and Kalli Therinae. Tickets are $10 at the door. Show starts at 7pm. 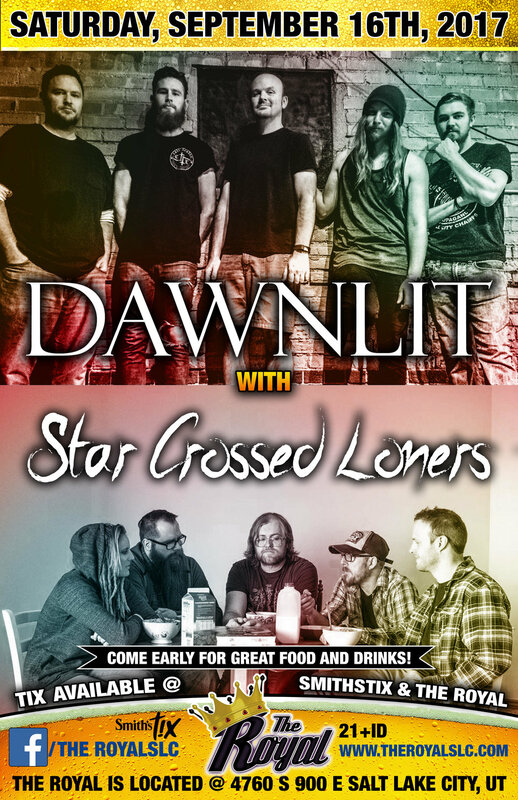 Dawnlit with Star Crossed Loners. Tickets are $5 at the door. Show starts at 11pm. The Mystic, Paint The Woods, American Coast, and Dawnlit. Doors open at 8pm.